The origin of email goes back to 1971 when even the smallest computers required a wheelbarrow to transport. In the early days, computers were a tool used for a limited set of tasks, they were part of a job for some, but it was the introduction of the Blackberry, iPhone and Android in the 2000’s that brought our inboxes to our pockets. Technology has evolved, and so has our culture. Americans spent over 9 hours a day in front of screens in 2017, a number that continues to rise. Smartphones allow us to take our digital lives with us everywhere and our work to follow us home. All of these technologies have affected the way we use and engage with email, and marketers and salespeople who are looking for an edge, have realized the importance of optimizing their email delivery time. The term “send time optimization” or STO, has recently been used to describe many various levels of email timing optimization/personalization. In this blog post, we break down the varying degrees of send time optimization from non-optimized to personalized. In its most basic form, email is a tool to deliver messages asynchronously. Its platform agnostic, and despite the rise of many other messaging apps and protocols, email has not only remained, its use has grown. When compared to sending a physical letter or direct mail ad, creating an email is not only cheaper, but duplicating and delivering your message is instantaneous and practically free. The “whenever” blast is convenient, “when I feel like it” email. It’s probably fine if you are sending an email that someone is expecting - but this is about send time optimization, so let’s get to it! Just because you CAN send an email whenever you want, and (hopefully) it will be waiting in your customer’s inbox, doesn’t mean you should. Email marketers, business professionals and salespeople have begun realizing that timing matters, especially when sending non-essential communication such as promotional information or pitches. 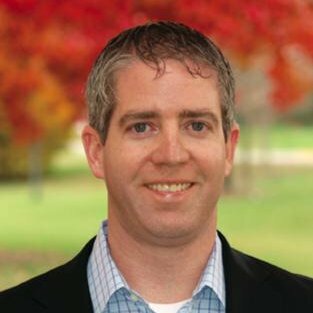 Getting email in your recipient's inbox while they are in front of their computer can dramatically increase the odds of them reading your message. In the same way you might page through a stack of papers in a physical inbox on your desk, noting the eye-catching ad on the top, and then quickly glance through the rest of the documents looking for items of obvious importance - bills with deadlines, letters from people you know etc - leaving the rest unread, you likely do the same with your inbox whether you know it or not. We simply get too much email to pay attention to all of it. Recognizing that there is a penalty for sending at the wrong time, many have turned to heuristics or extrapolated from studies the best time to send their email. This “best guess” Optimized Blast, is the most basic form of send time optimization and probably still the most commonly used. A sender simply attempts to guess when the most people will be in front of their computers, and send their email at that time. In real paper inbox terms, this would be like trying to put your memo on top of other papers to get it closer to the top of the stack where it will be noticed, but without actually knowing your colleague’s schedule. Studies have had mixed results, but trend towards times with the highest open rates for most B2B lists being mid-morning/midweek. One meta-analysis of ten studies found 10am on Tuesday was the best time overall, so that might be a place to start your A/B testing. B2C senders often find after work hours gets a slight open rate bump, but it can vary from industry to industry, some industries have peak engagement rates on the weekend. A List Optimized Blast is delivered at a single time, but a time that is optimized based on data to the peak engagement time for the list. Finding the top delivery time for an email list has been shown by multiple studies to increase open rates by as much as 22%, so putting some time into finding the ideal send time for your list is likely worth the effort. Your list may have clientele coming from all sectors of the economy. Night shift doctors, bartenders, service workers etc, work odd hours and may skew the peak time of your list to an unexpected result. Also, with so many marketers now using “best guess” blasts, times that were traditionally optimal may change as inboxes reach saturation. The peak engagement time for a list is usually found through methodical A/B testing or past data analysis. Many email marketing platforms have introduced features that allow users to automate this process to have list level send time optimization within a 24 hour period. List level STO combined with Timezone Sending is currently the highest level of STO commonly seen in the industry. Timezone sending is a feature that many email marketing platforms are adding that can be used in addition to list level send time optimization. Even if your recipients top times were exactly the same, you would still run into trouble if you have customers who are not in your home or target timezone. If your list is international for example, whatever time you choose, some of your customers will receive your email in the middle of the night. Timezone sending attempts to solve this problem by breaking your list down by each user’s estimated time zone, and then delivering your message at your selected time in their own timezone. Personalized Delivery is the holy grail of send time optimization. Using machine learning, send time optimization allows a sender to make sure each individual receives their email at the time they are most likely to engage. The sender chooses a window of between 12 hours to up to 7 days if the delivery time is flexible, and each email is delivered at the optimal time for each subscriber, whether that's Tuesday at 10 am, or Saturday at 8pm. Personalized delivery is true send time optimization. By profiling each subscriber on an email list based on previous email engagements such as opens and clicks, an algorithm weighs the type of interaction, mobile or desktop, click or open etc., and based on this data, the optimized delivery time for each individual can be identified on both and hourly and daily level. 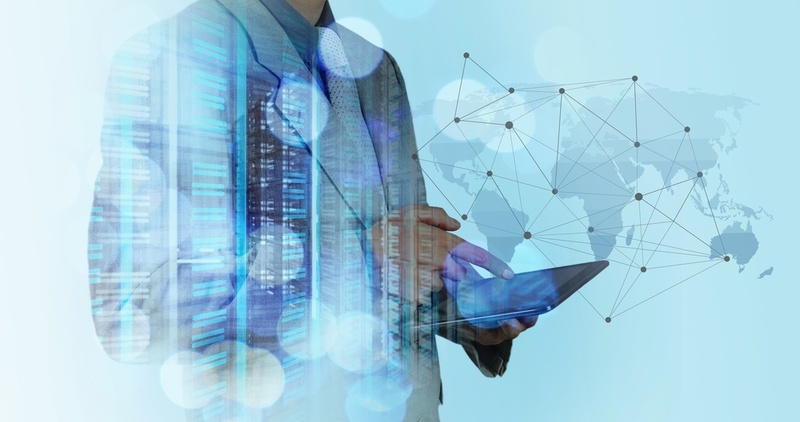 Many companies have troves of open and click data from years of interactions with customers, both active and dormant and an email personalization system can mine this existing data to build profiles which can then be used by both sales and marketing teams. Our research has shown that there is a high correlation between people's top desktop email engagement times and their responsiveness to telephone calls. So this data can be leveraged by both Sales and Marketing teams. Landing in the inbox is becoming more and more difficult with email service providers like Microsoft and Gmail moving not only obvious spam but all kinds of “bulk email” to separate folders like Gmail's “Promotions Tab” or Outlooks “Clutter Folder”. While ultimately it’s your content that will drive engagement the most, you should be making an effort to use every advantage you can to increase your engagement, as low engagement can lead to lower deliverability and inboxing rates. 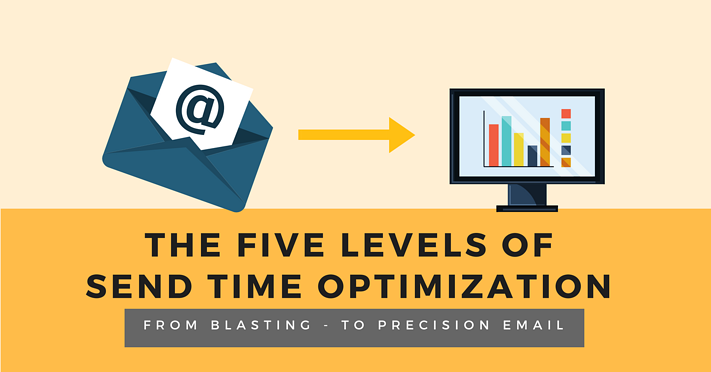 If you enjoyed this article on The Five Levels of Send Time Optimization, check out these other articles on Email Marketing Frequency Best Practices and how to stay out of the Gmail promotions folder.